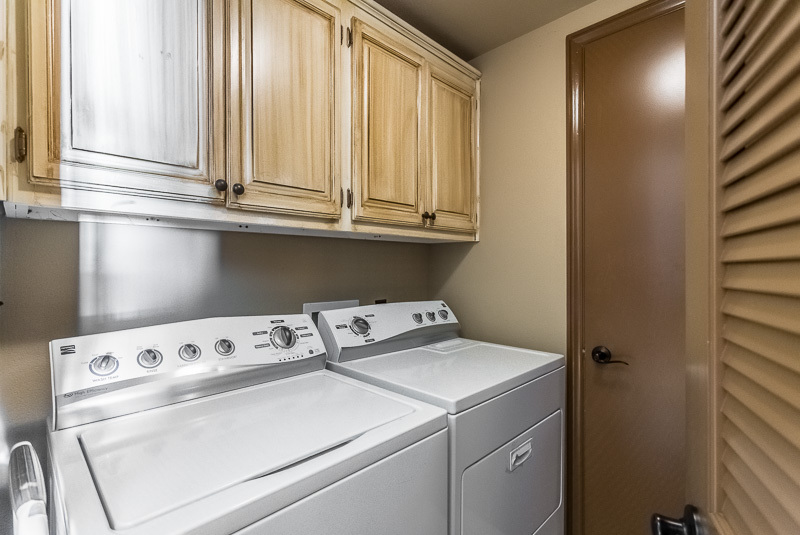 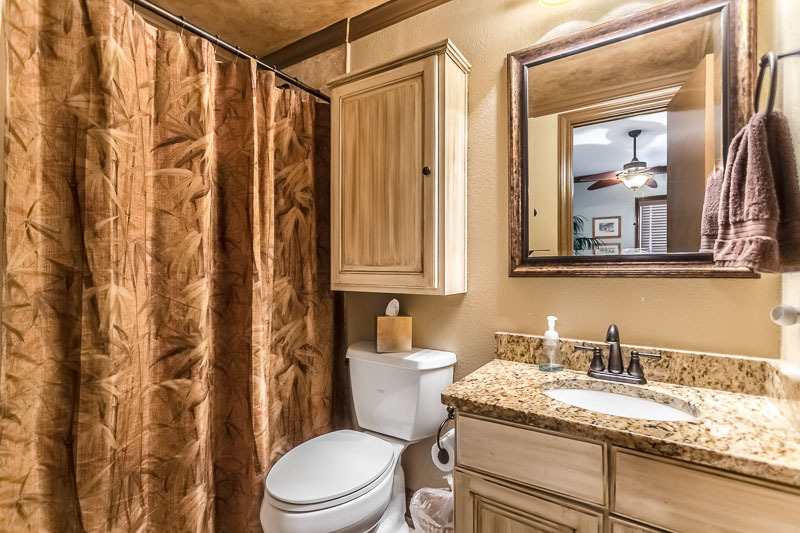 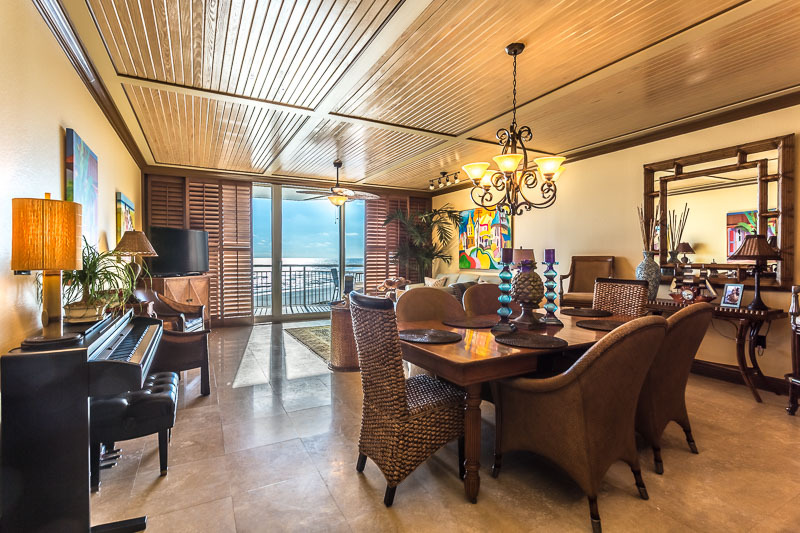 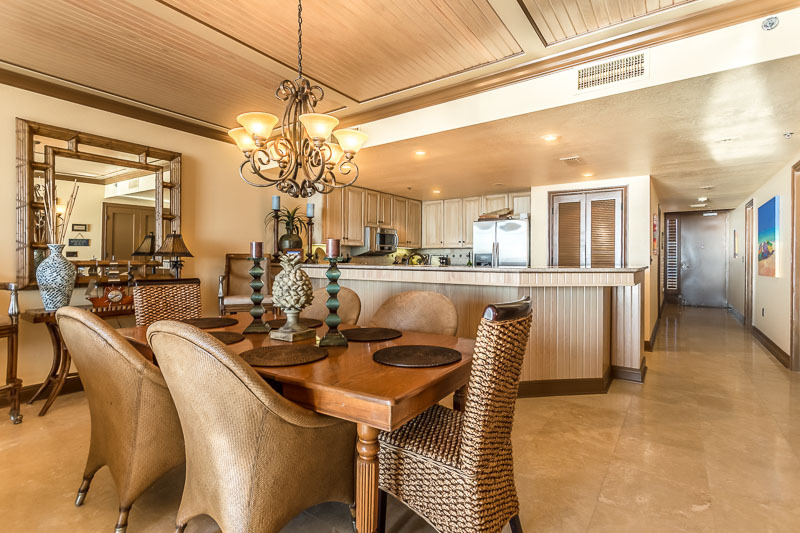 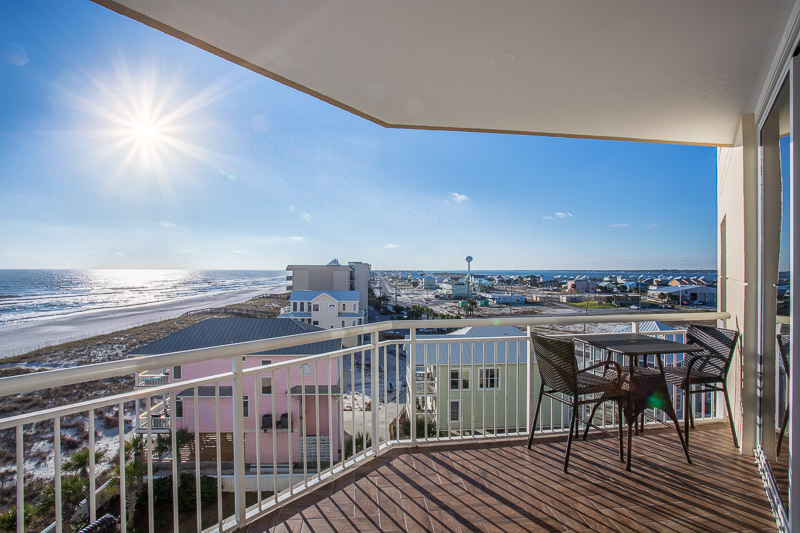 A rare find on beautiful Navarre Beach in the prestigious Belle Mer complex. 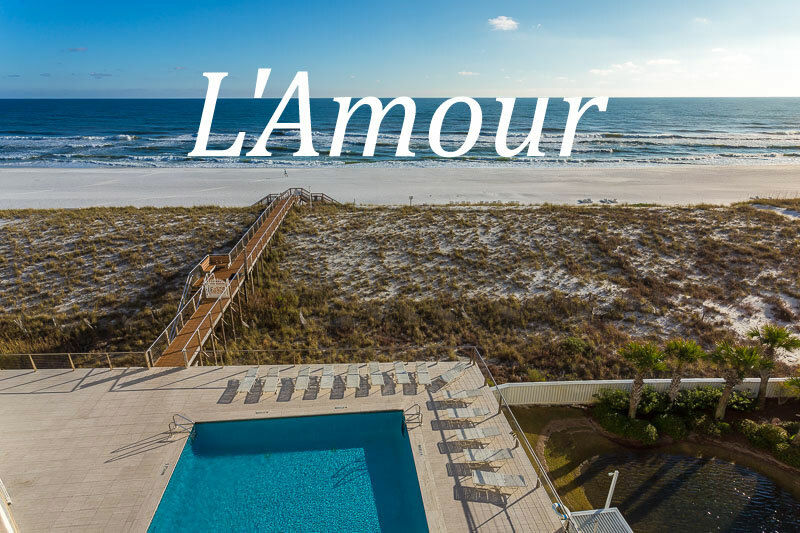 Only a select few can experience this executive retreat for a romantic vacation in this stunning, upscale gulf property. 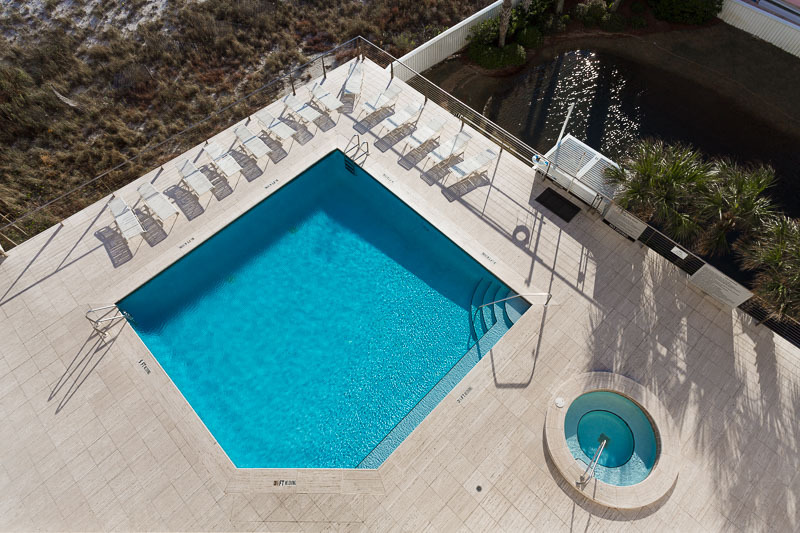 Bookings are limited to 8 weeks total in 2017 to ensure you will find this impressive property in immaculate condition. 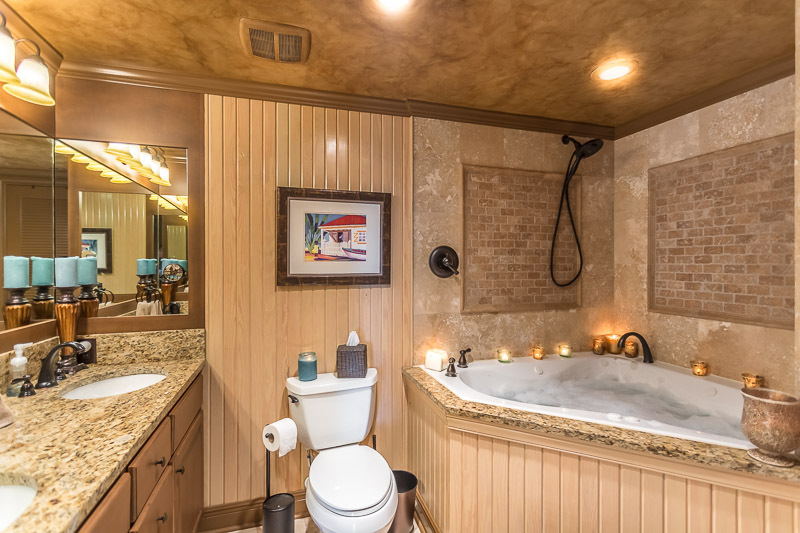 Perfect for intimate celebrations, or couples traveling together, this unit sets the mood for a luxury experience, a time to reconnect to the one you love. 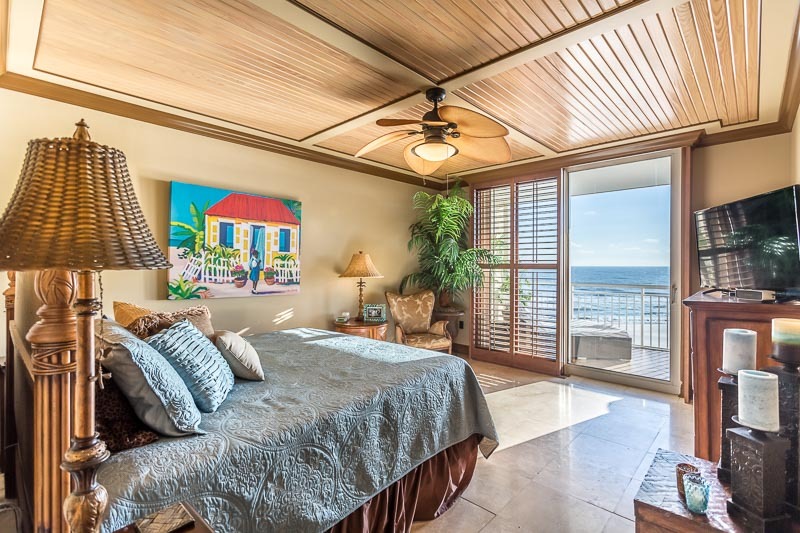 The unit is decorated with a West Indies influence; finishes throughout feature travertine floors, paneled wood ceilings, beautiful trim work, plantation shutters on the floor to ceiling glass sliding doors, a chef's kitchen, custom cabinets, and granite countertops. 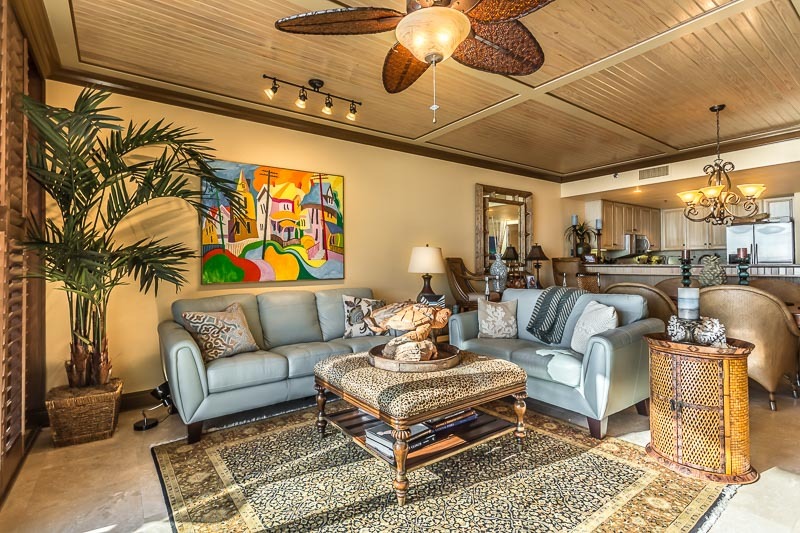 The living room offers top quality leather furnishings and a 50" flat screen TV and a DVD player, perfect for those evenings when you want to just be together and watch a movie. 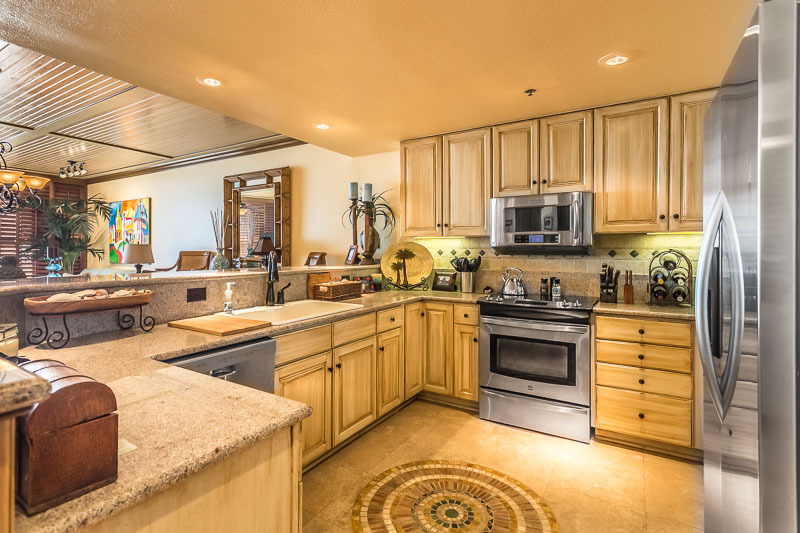 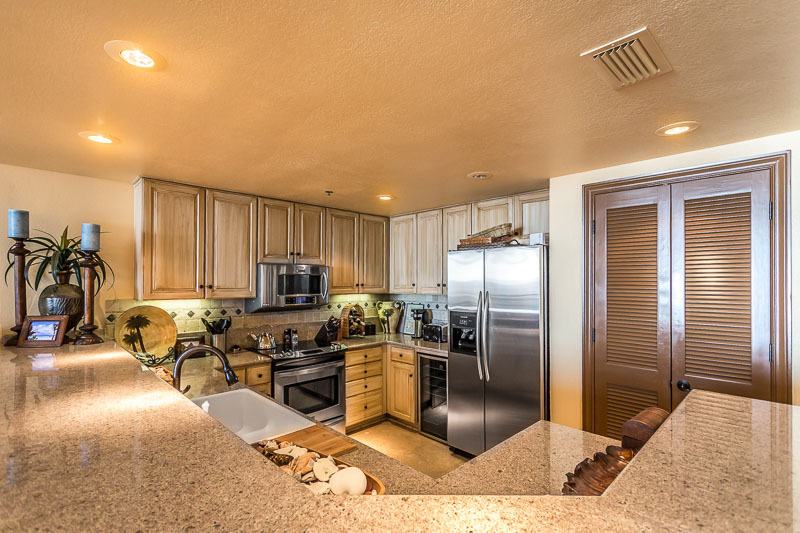 The kitchen is a cook's dream. 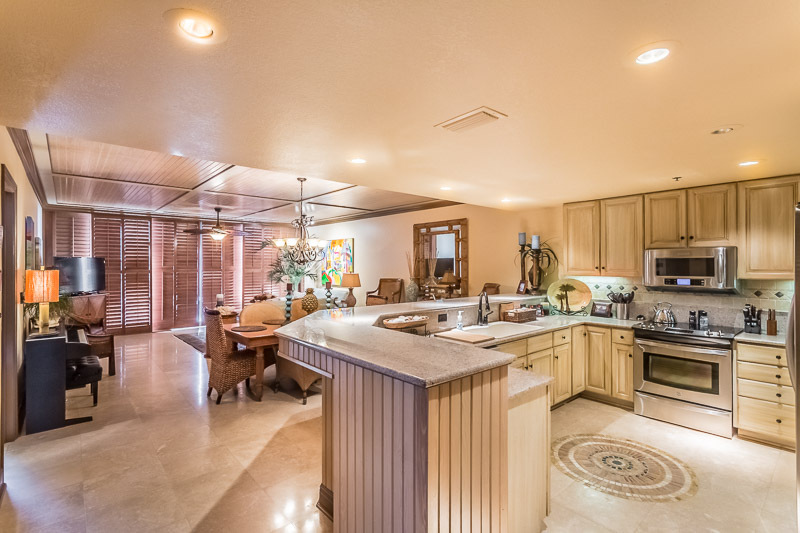 quality stainless steel appliances, a wine cooler, and crystal stemware are just a few delights you will find waiting for you. 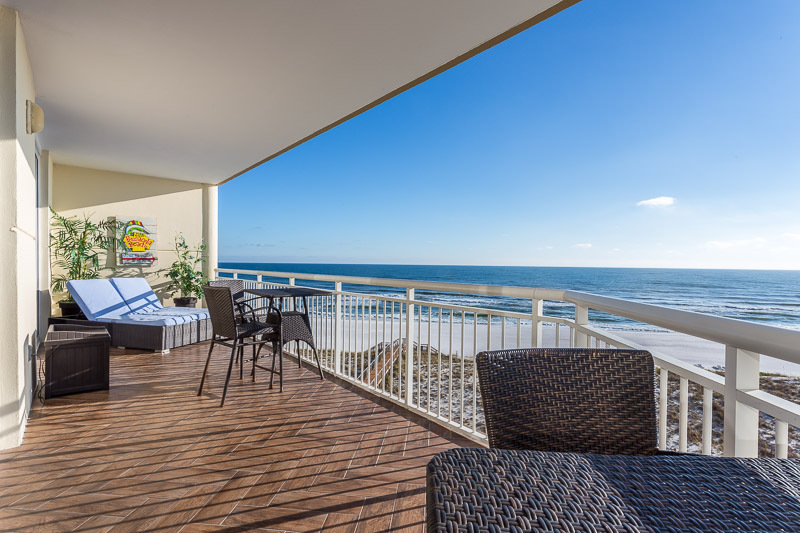 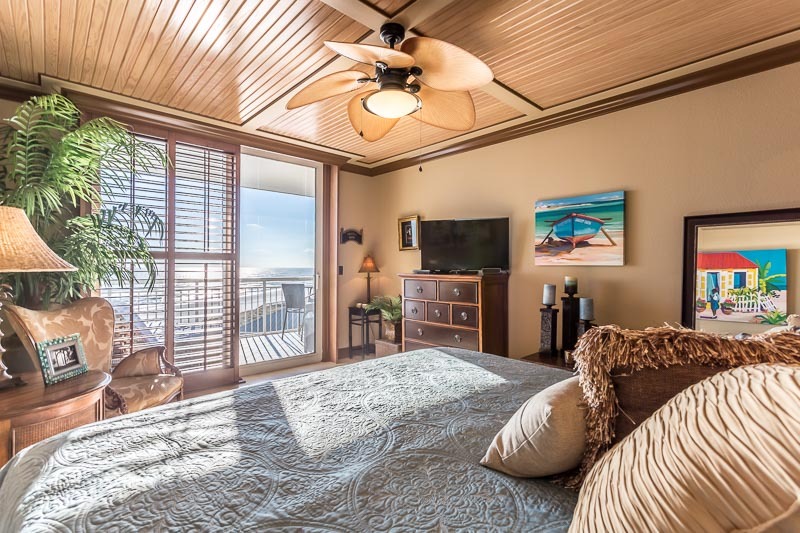 The master bedroom, in tasteful Tommy Bahama style, boasts a king size bed perfectly placed for gorgeous ocean views and sounds of the surf, showcasing the emerald waters and sugar white sand that the Gulf of Mexico offers. 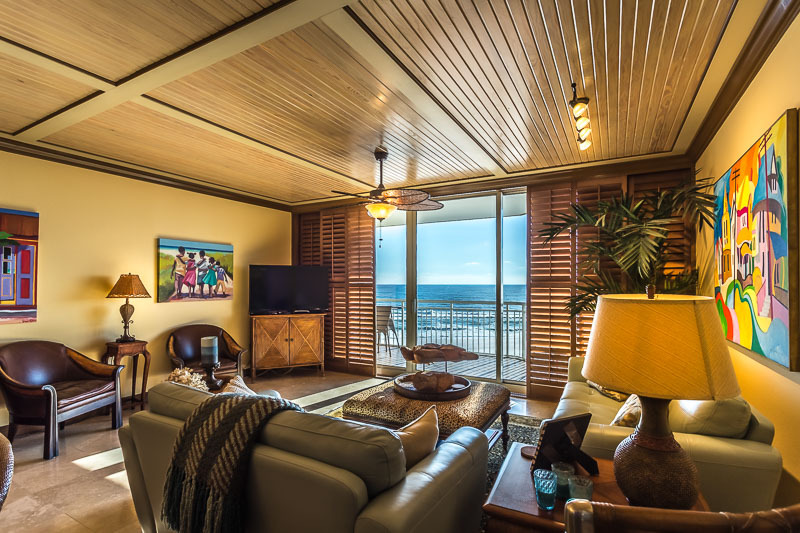 There is a 40" flat screen TV for those lazy nights and mornings that a beach retreat can offer. 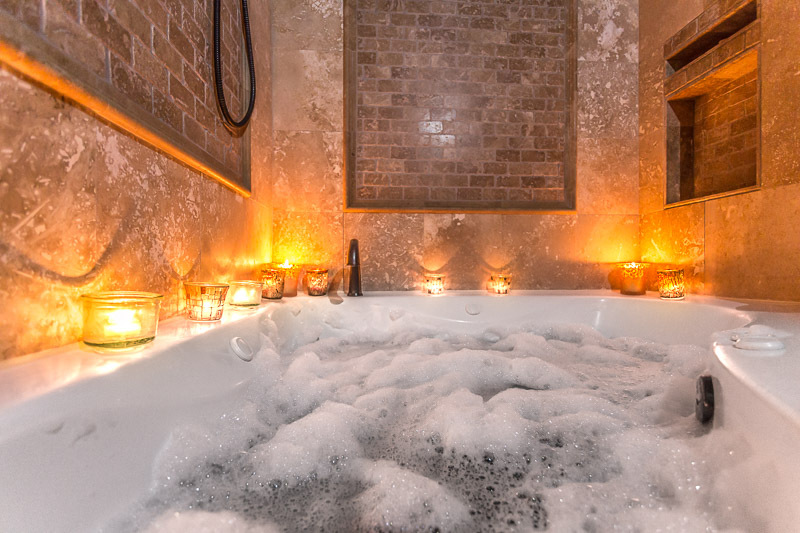 The en-suite bath features a corner jacuzzi tub with shower, perfect for that spa experience and long soak after a day in the sun. 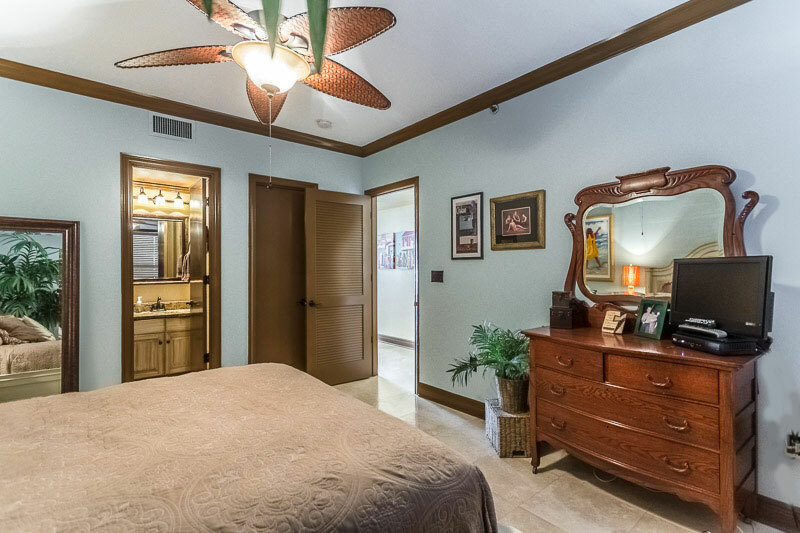 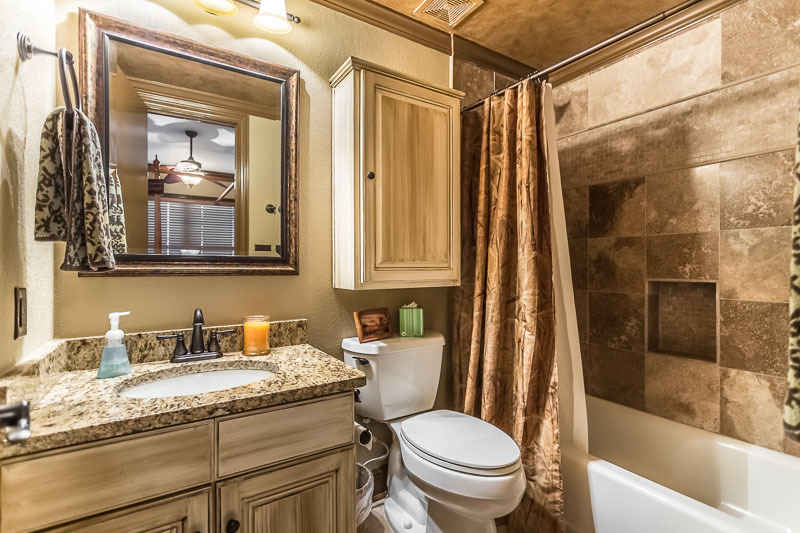 One guest room offers a queen bed, the other a king, and both have on-suite baths with a tub/shower combination. 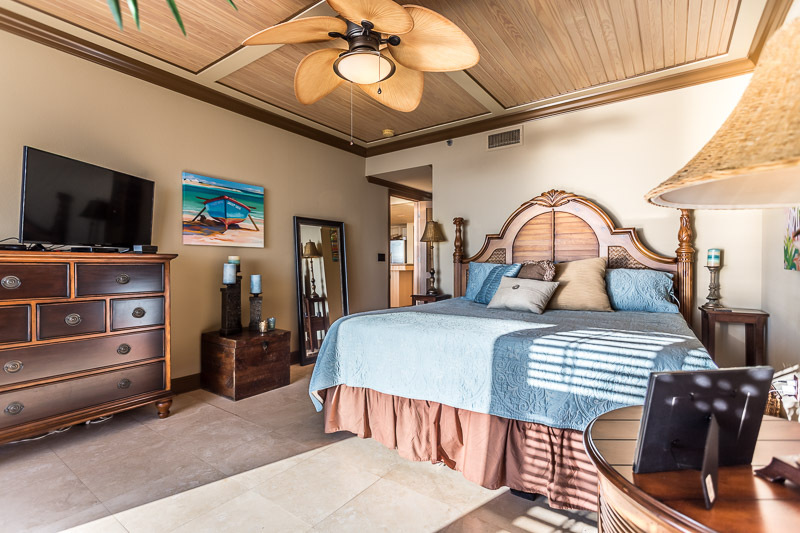 TV's in both guest rooms. 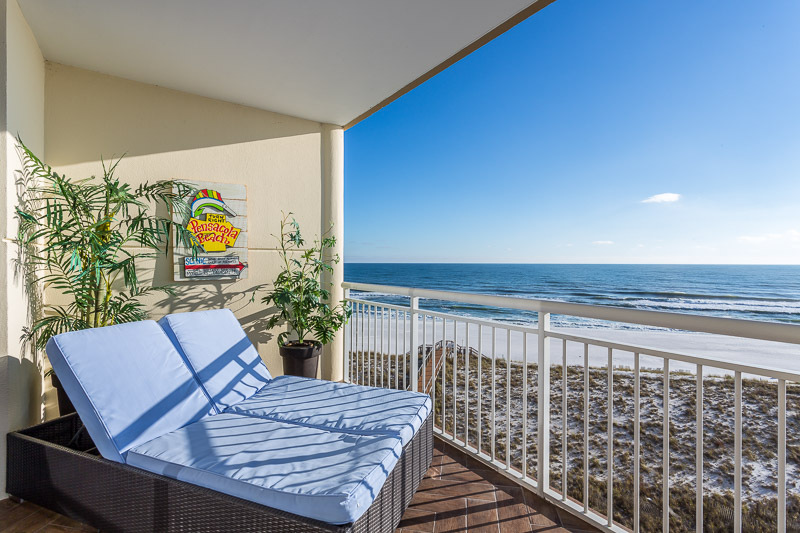 End your day lounging on the large balcony in the two-person lounger, and enjoy a cool beverage of your choice while watching the beautiful sunset. 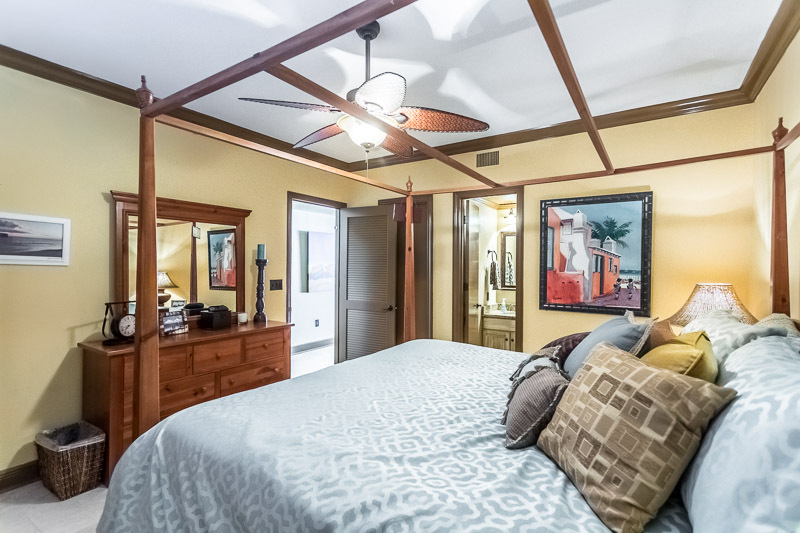 You will feel so pampered and rejuvenated after a vacation in this romantic escape!. 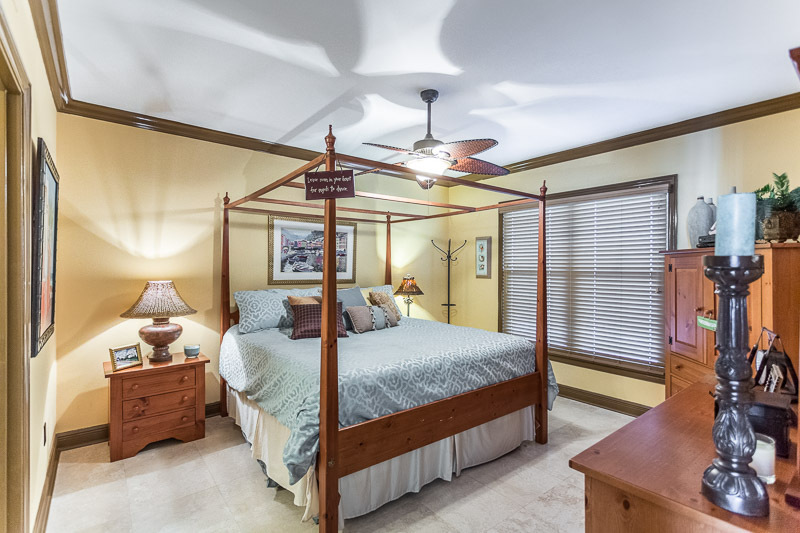 Book now as available weeks are limited.